Lawyer, businessman, MLA (1886-1888), Senator. Born in Ballyvourney, County Cork, Ireland on 5 May 1848, son of the Reverend Richard Kirchhoffer and Isabella Fairtough, he was educated at Marlborough College, Wiltshire, England. He married twice, first in 1871 to Ada Smith, and second to Clara Howard. He came to Canada in 1864, and studied law in his uncle’s office. He took part in the Fenian raid in 1866, becoming Captain in the Port Hope (46th) Battalion. He was called to the Bar in Ontario in 1871, practising in Port Hope. In 1883 he moved to Manitoba. He founded the Plum Creek settlement and the town of Souris. 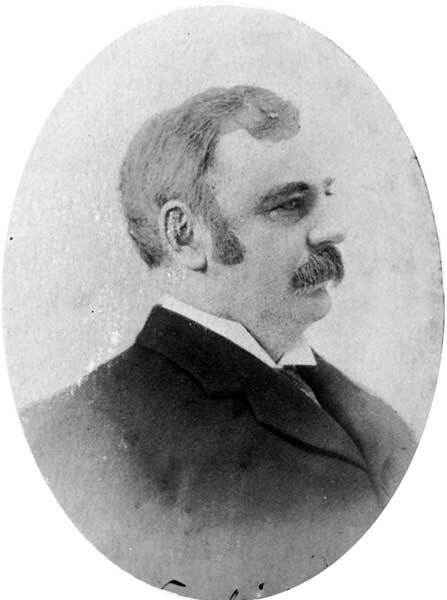 He was Reeve of Rural Municipality of Glenwood from 1883 to 1886, and later Mayor of Souris. He served as chairman of the Western Judicial District Board, president of the Glenwood Agricultural Society, and of the Agricultural Society of Brandon. He practised law in Brandon and was elected member from Brandon West in the Legislature of Manitoba in 1886, being defeated by Herbert C. Graham in the 1888 general election. He was appointed to the Senate in 1892 where he served until his death on 22 December 1914.